Leaves skin refreshed, clear and smooth. Directions: Apply onto face and neck using a cosmetic pad. Remove thoroughly with plenty of water. 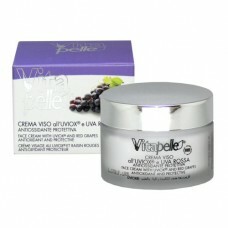 Follow with UVIOX® & RED GRAPES Toning Lotion.